What is Cave Diving - Learn cave diving... Become a cave diver or CCR cave diver in North Central Florida. 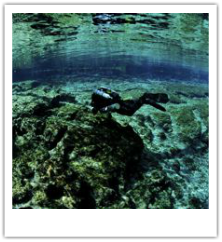 Join us for cave diver training or guided cave dives in the North Florida Springs and Caves. CAVES have always taken an important part on the human being culture, used as shelters, they also had an important role of the beliefs and behavior of people in the ancient world. Men have always been intrigued and fascinated by caves all over the world. 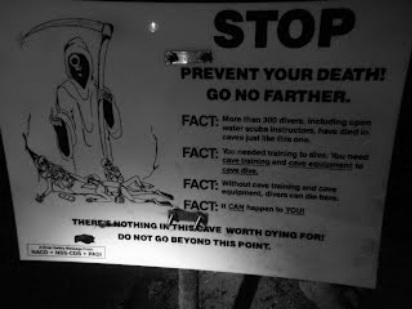 "For many years caves were regarded with fear and apprehension' Tom Mount NACD Safe Cave diving manual. Even today in small villages all around the world, some people believe that caves should not be touched by humans. We still are standing between curiosity and early superstition. Today, we cave divers, love to go cave diving. Cave diving combines the water element, darkness, and overhead environment. These factors are considered as stressful factors for the human being. Many hazards are part of the cave diving activity, and cave diving training is mandatory if we want to explore the cave systems and increase our change of survival. More than 300 divers and scuba diver instructors have died in caves, without training, proper equipment, maturity and good judgment it can happen to any of us. The formation and development of caves is known as speleogenesis. Caves are formed by various geologic processes and can be of variable sizes. These may involve a combination of chemical processes, erosion from water, tectonic forces, microorganisms, pressure, atmospheric influences, and even digging. Most caves are formed in limestone by dissolution. Caves are found throughout the world, but only a portion of them have been explored and documented by cavers.